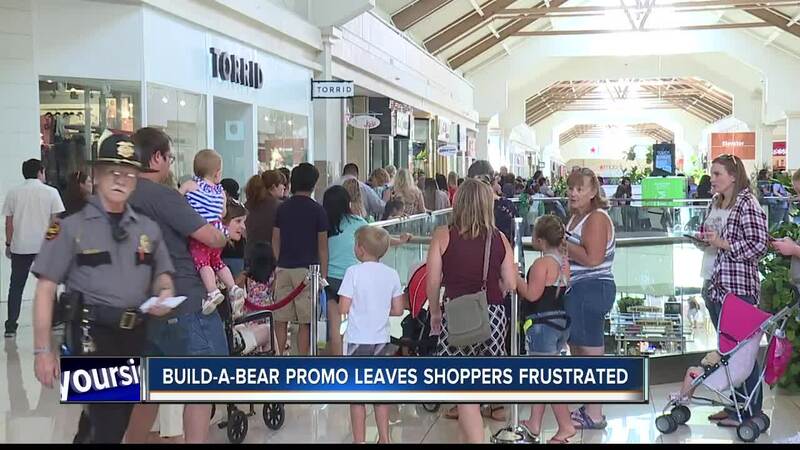 The Build-A-Bear shopping experience is getting a lot less expensive —- at least for one day – as thousands gathered at stores across the country. Build-A-Bear Workshops are hosting their first-ever “Pay Your Age Day” – where all guests are allowed to pay their current age in dollars to create a new furry friend. The promotion includes popular licensed characters, including those from the Star Wars and Trolls franchises. The top price capped off at $29. That means anyone 30 or older will still pay $29 to take home a new stuffed creation. So, what's the catch? Parents or guardians over age 18 need to enroll in the Build-A-Bear Bonus Club rewards program and provide a name and email address. Customers are encouraged to do sign up online before Thursday to avoid long lines in the store. Officials at Boise’s Towne Square Mall are also expediting long lines. A spokeswoman tells us the Mall opened earlier than normal -- at 7:30 a.m. -- Thursday to accommodate “the thousands of people” who showed up to take advantage of the retailer’s campaign. The entire mall management and security staff are on the second level, accommodating all the shoppers who have turned out. “We are packed. People are everywhere,” the spokeswoman said.